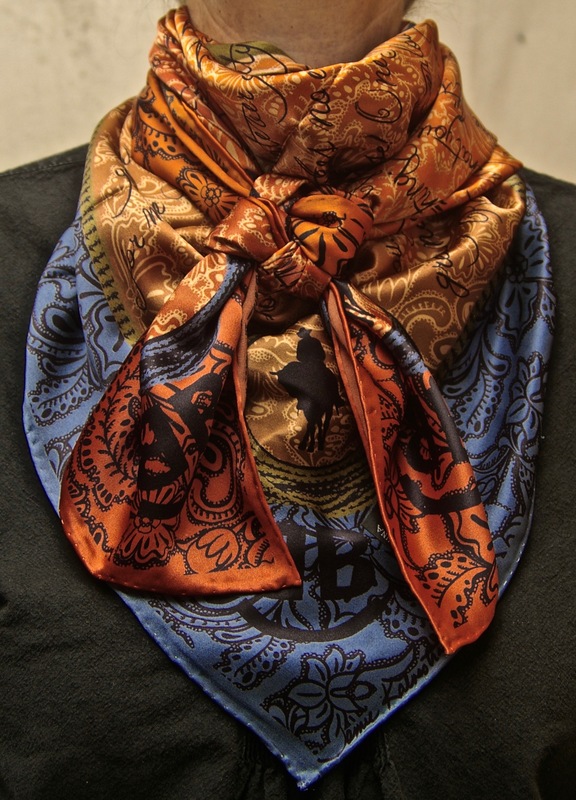 Wearing the "The Houlihan Too" wild rag. 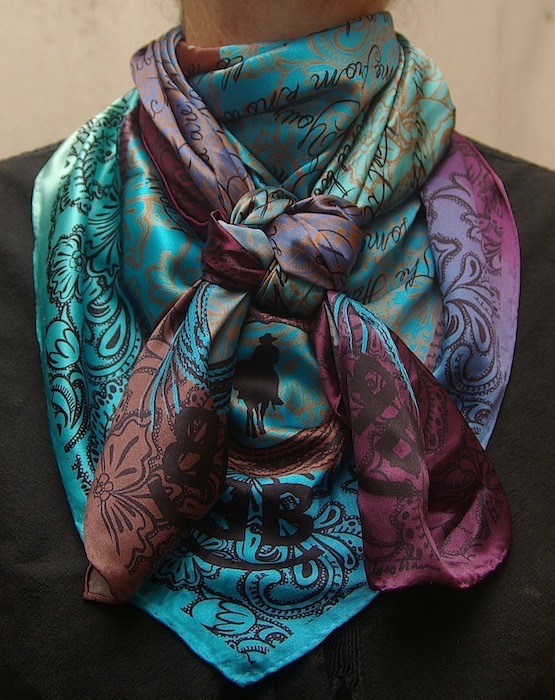 "Pictures don't do the colors in these amazing wild rags justice!" 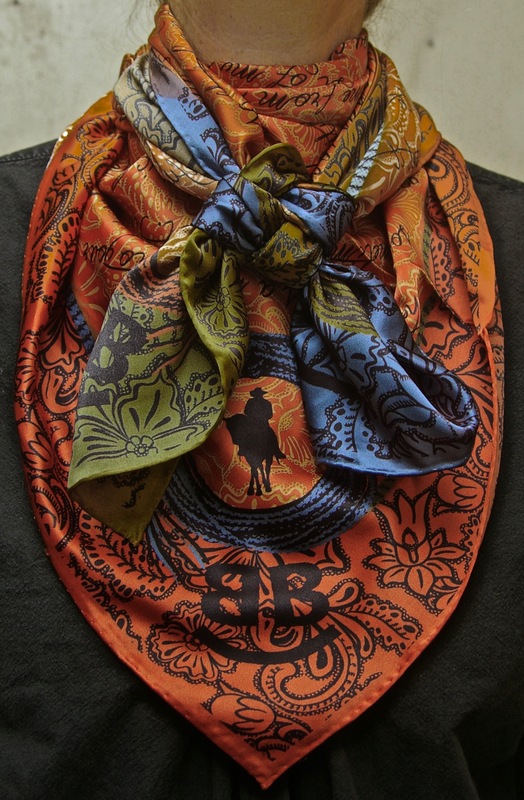 NEW WILD WILD RAGS!! 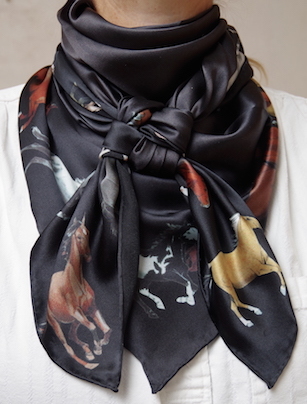 These extraordinarily unique and beautiful wild rags are designed to share Buck Brannaman's wisdom through his own words while capturing the visual texture and richness of the Vaquero lifestyle. 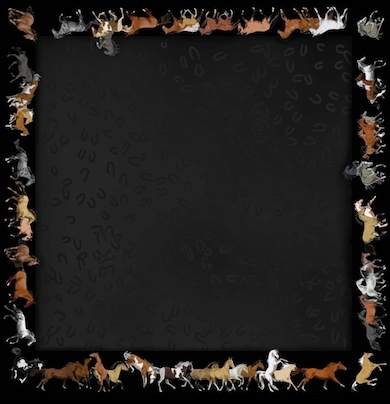 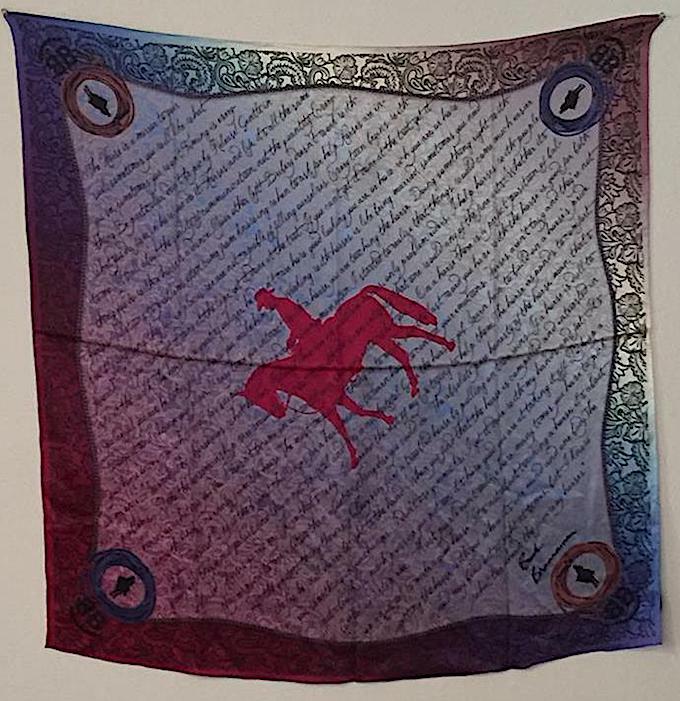 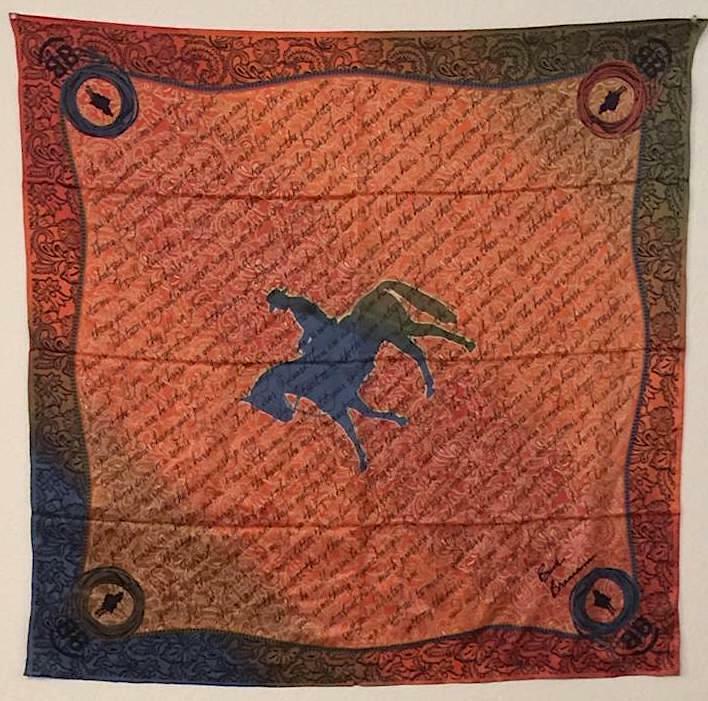 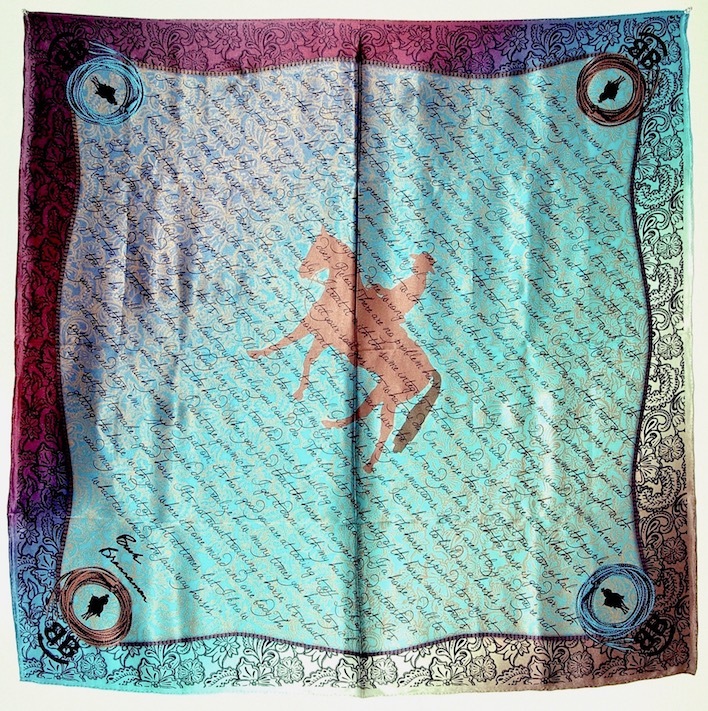 Features over 40 of Buck Brannaman's quotes addressing life and horses, Buck's brand, Buck's image, Buck's signature, Hand-rolled edges, High quality 12 weight 100% silk charmeuse, Generous Vaquero style 42" square. 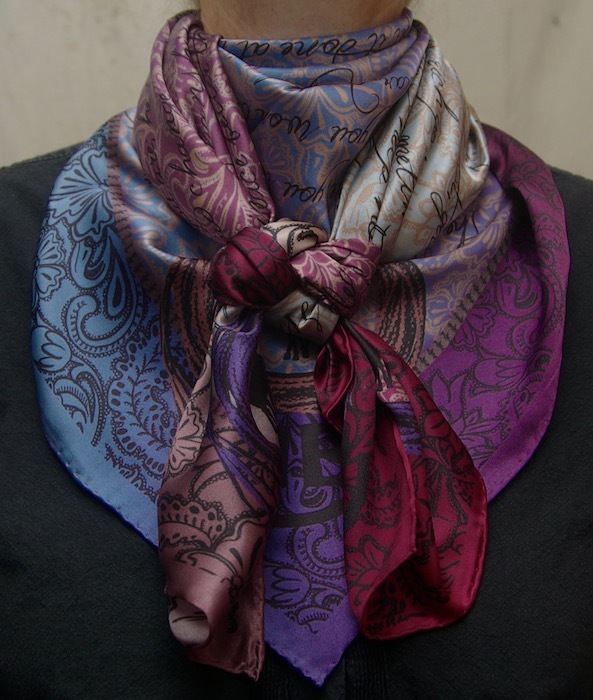 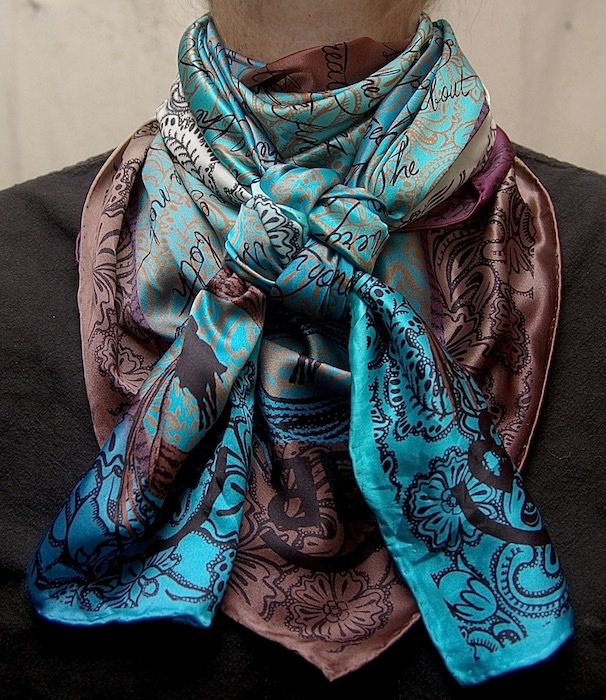 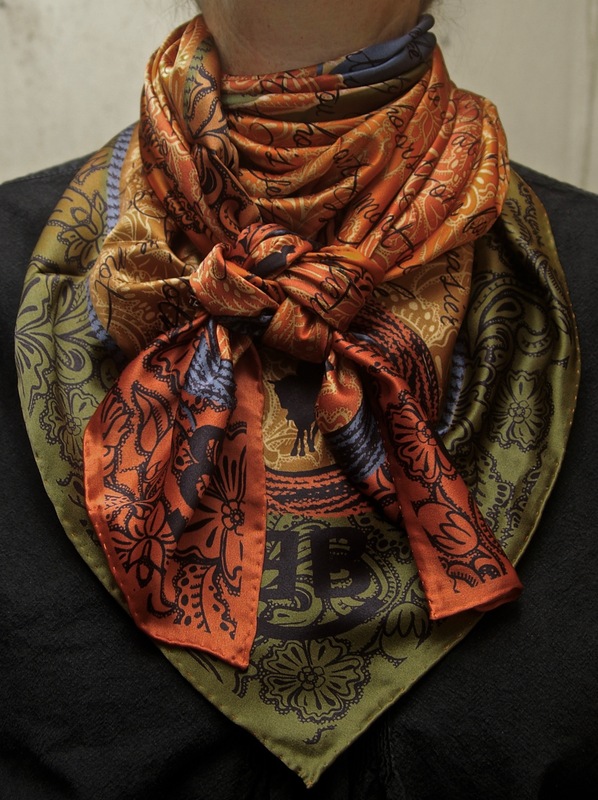 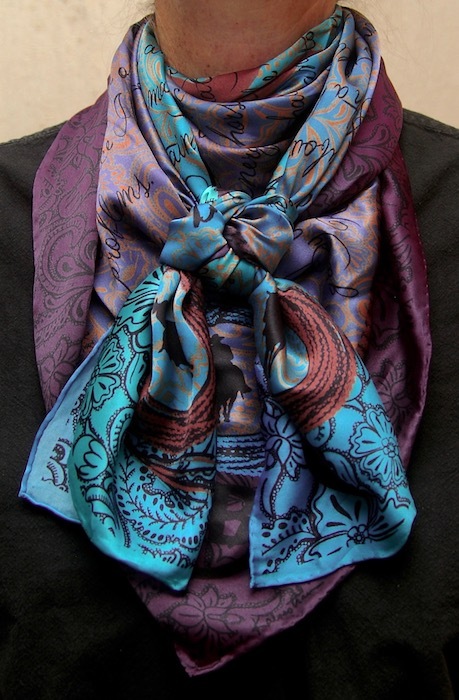 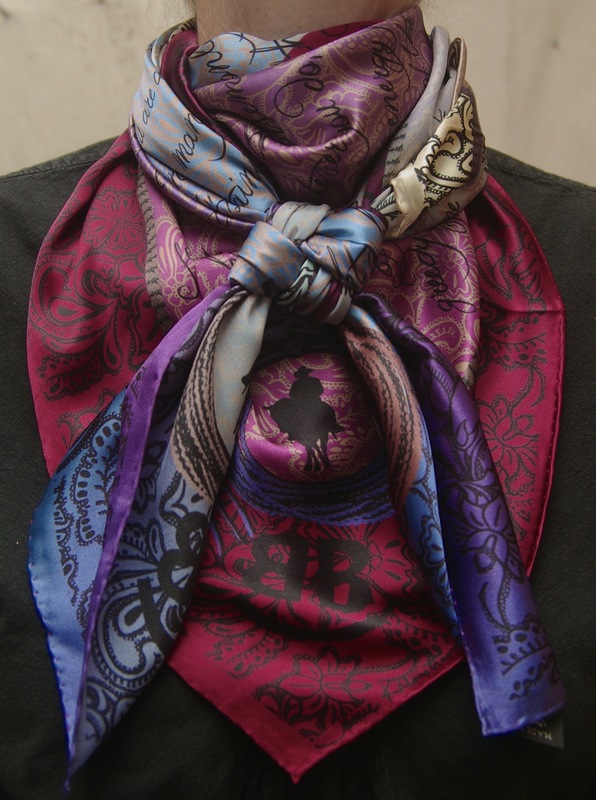 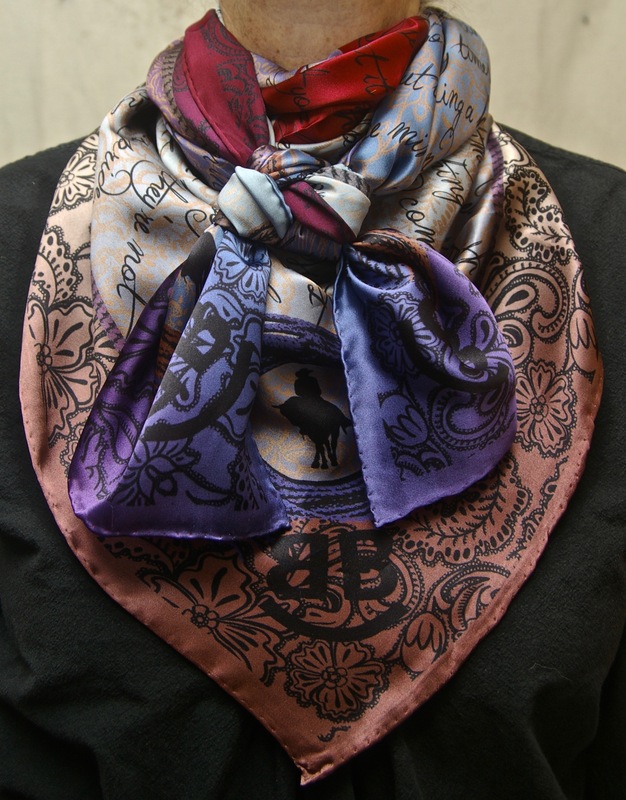 The pictures below show three different ways to tie each scarf that shows off the colors differently. 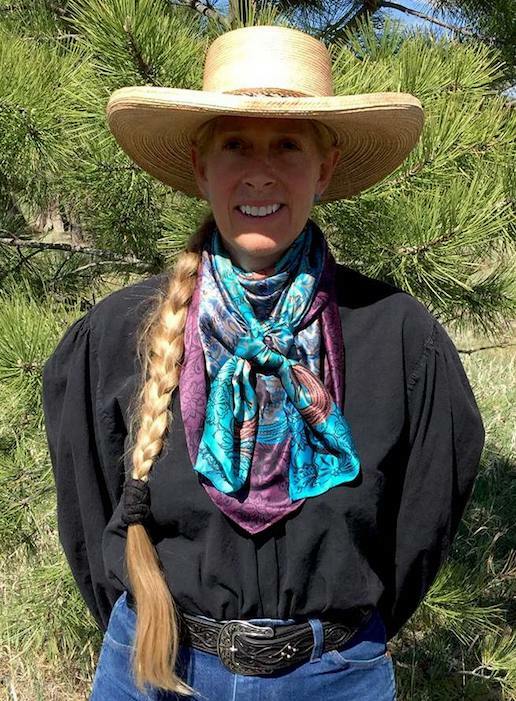 "Every Cowboy Needs a Good Houlihan"